While I was not posting, food was indeed being eaten. Unfortunately for my poor husband, it was often quick and unimaginative (and really not worth blogging about). However, in the midst of the food desert, there were a few memorable moments that I will share now. Here we were, busy with so many life events and activities that socializing with our friends had even taken a back seat. Then one day, I was just sick and tired of not doing the same old thing (study, study, and study) so I called some friends for a last minute dinner at our house. Well… it was so last minute that I really didn’t have time to prepare! It was one of those moments when you dig into the fridge (and a dark and fuzzy place that can be at times…), the freezer and the cupboard and came up with this appetizer. It was a real hit – and ever so easy (the only cooking I was up to at that point). Start by slicing and frying the zucchini on a high heat to really brown them up. You don’t need a lot of olive oil. Sometimes I add a bit of butter to the pan for a little more flavor. 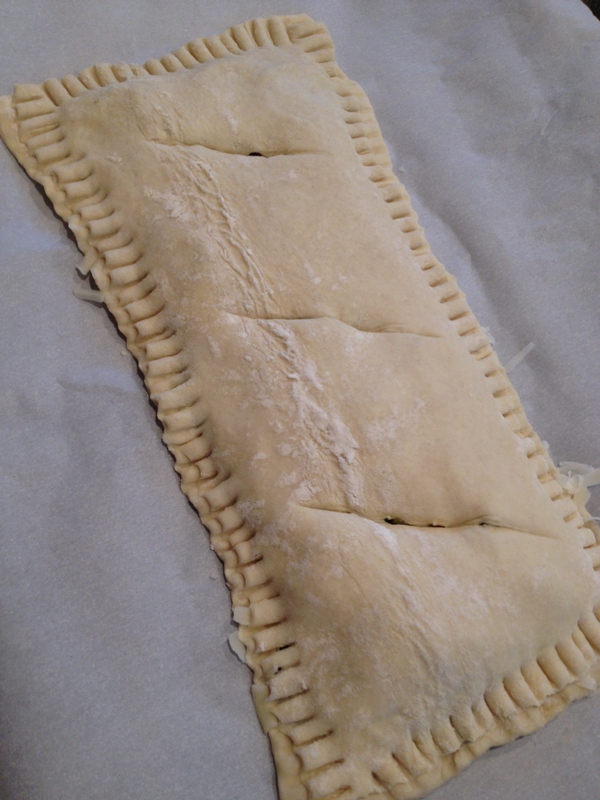 Roll out the puff pastry and cut it in two, so you have long pieces. 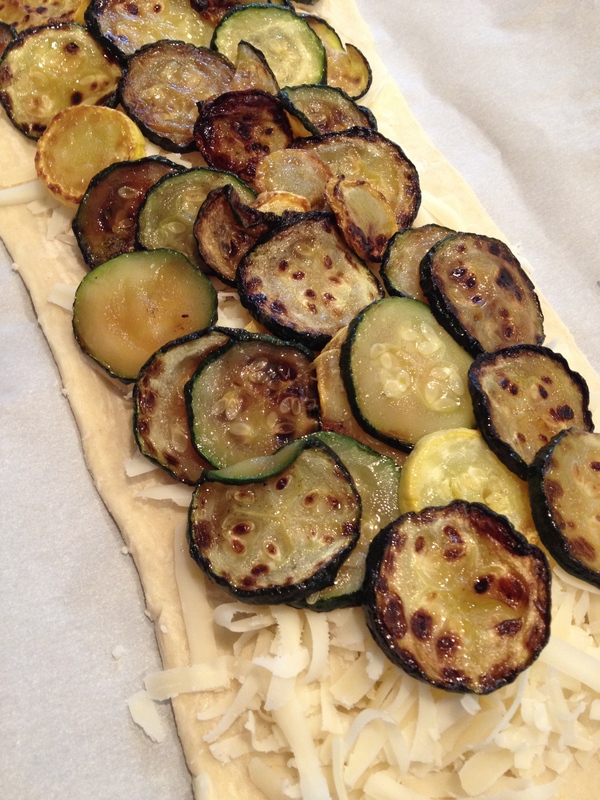 Sprinkle the cheese on top of the pastry and then layer the zucchini over that. Top it with the other piece of puff pastry and seal the edges by squishing a fork into them. Cut slices in the dough before baking at 375 degrees until golden. It was so delicious and beautiful when it came out of the oven, that there is no picture! We dove in and gobbled it right up! I hope your guests enjoy it just as much!